We offer an alternative to western medicine. Practiced for more than 5000 years and relied on by over a quarter of the world's population, you can be sure you're in safe hands. 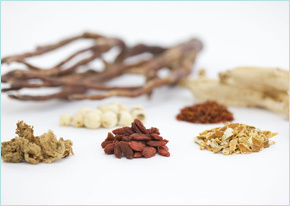 Chinese herbal medicine aims to regulate the internal organs and boost the immune system through treatment derived from roots, stems, bark, leaves, seeds and flowers of wild and cultivated plants. You can rest assured that we don't use any animal parts in our treatments as we believe that plant based herbs have the same therapeutic effect. We will take the time to find out exactly what's wrong with you and then prescribe a formula specific to you and your needs. Have you tried Western medicine and had no results? Find out how we can help by calling us on 0161 941 6141, or get in touch.